The Dim Sum Diaries | Paul Lafayet | "One cannot think well, love well, sleep well, if one has not dined well." My sweet tooth is possibly one of my biggest weaknesses. 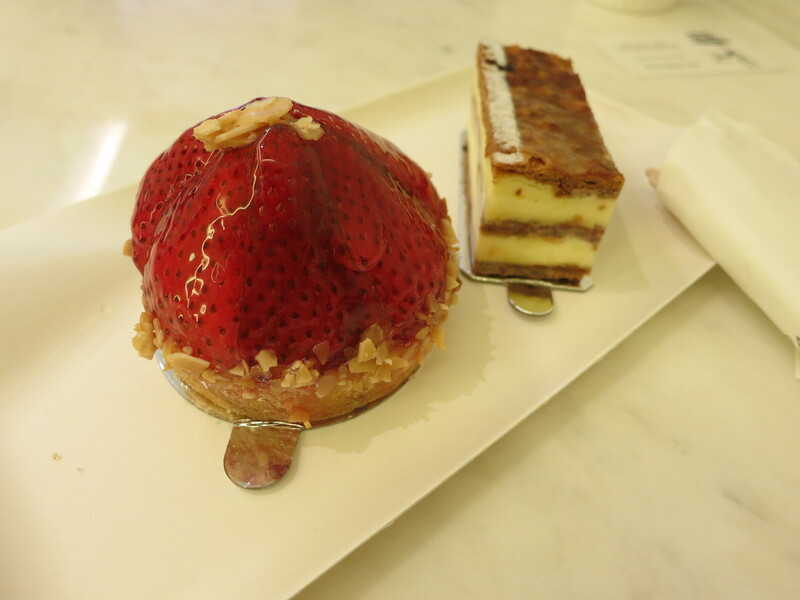 Needless to say that when I was invited to taste the beautiful French pastries at Paul Lafayet in Hysan Place, I didn’t hesitate for even a millisecond; in fact I made no further plans for dinner that evening, happily deciding that dessert would be my dinner. The Hysan Place branch of Toni Younes’ Paul Lafayet is one of five patisseries spread around the city, with plans for another one to open in Central later this year. This particular branch is small, with room for only a handful of customers to eat their pastries in store. 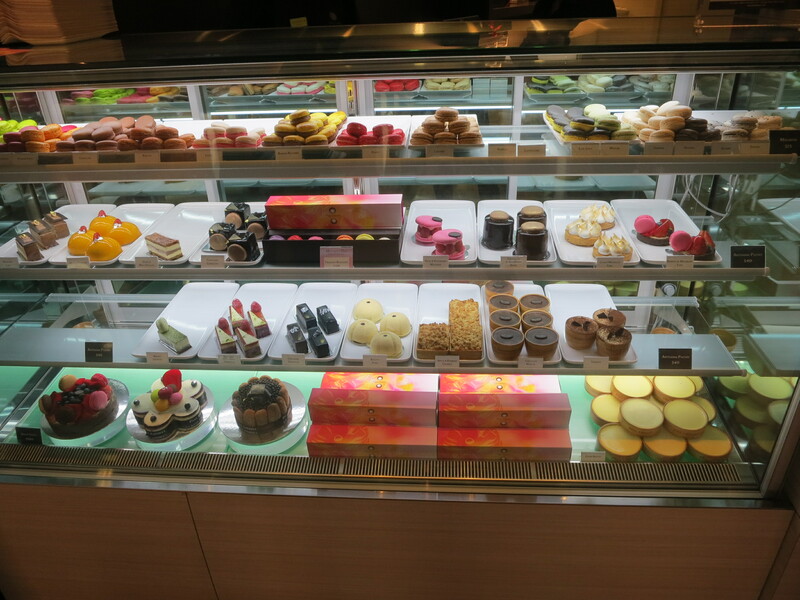 With its brightly lit display counter, showcasing the patisserie’s colourful and beautiful cakes, pastries and of course macarons, it would be impossible to walk past this shop without stopping to buy something. 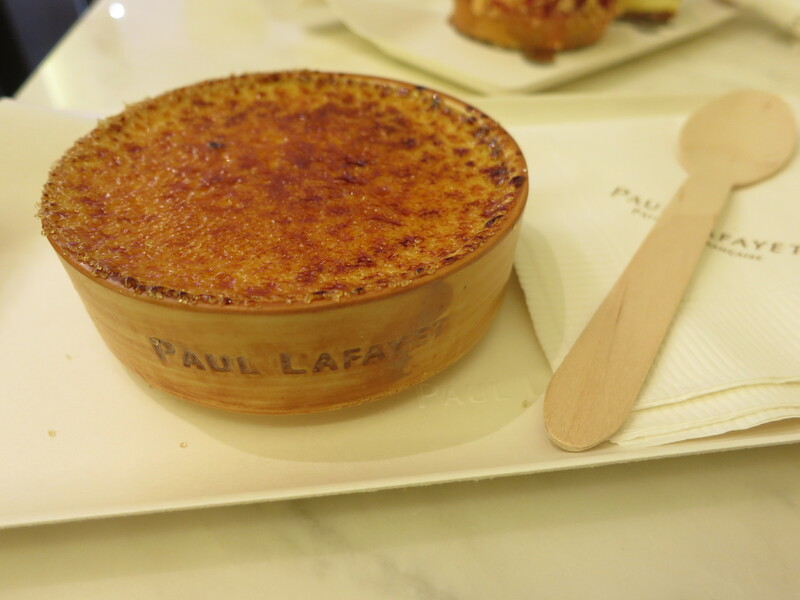 I began with one of Paul Lafayet’s signature desserts, the crème brûlée, which has been coined as the best one in Hong Kong. 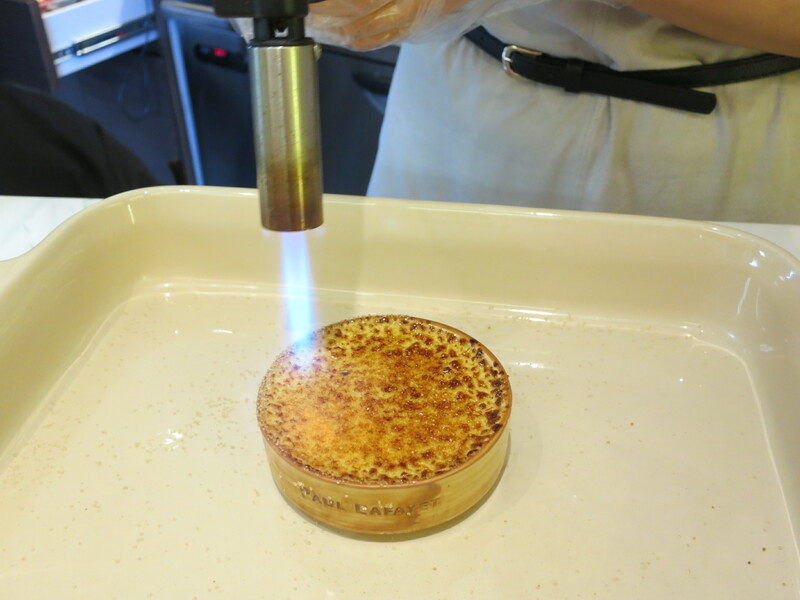 It is served in an adorable ceramic dish (which you can also take home if you order it to go) and ‘brûléed’ with a blowtorch right in front of you – a nice touch indeed. The sugary top had a satisfying crunch when tapped with a spoon, yet for me, this layer could have been a touch thicker. The ‘crème’ below was perfectly creamy and delicately infused with Madagascan vanilla pods. I haven’t tried enough crème brûlées in HK to know if this truly is the best in the city, yet it would most definitely make the shortlist. Following this, a strawberry tart and a mille feuille were presented before me. The former would not have been my go-to choice, given that I often find these glazed fruity tarts a little too sweet. This one, however, was just right, laced with vanilla-infused custard that complemented the slightly tart strawberries, and had a thick, almondy biscuit base that kept begging me to go back for more. The mille feuille was possibly my favourite of the three desserts. The pastry was perfectly flaky, the vanilla cream neither too sweet nor too delicately flavoured – just the right balance that put a smile on my face. With 18 flavours to choose from, as well as a few additional special edition ones, it would have been rude not to sample a couple of macarons. Rather than stick to the classics, I decided to try one Bailey’s and one banana balsamic. I have a bit of a soft spot for Bailey’s and in fact even went through a phase where I would crave a glass or two every evening before bed. Its macaron counterpart encompassed everything there is to love about Bailey’s – a few of these and you might start to feel the affects of the alcohol! The banana balsamic was the winner, however, as I loved the sweet versus ever-so-slightly-sour contrast that worked together perfectly. Artisanal pastries cost $40, whilst macarons cost $15 each, and larger cakes cost $280. 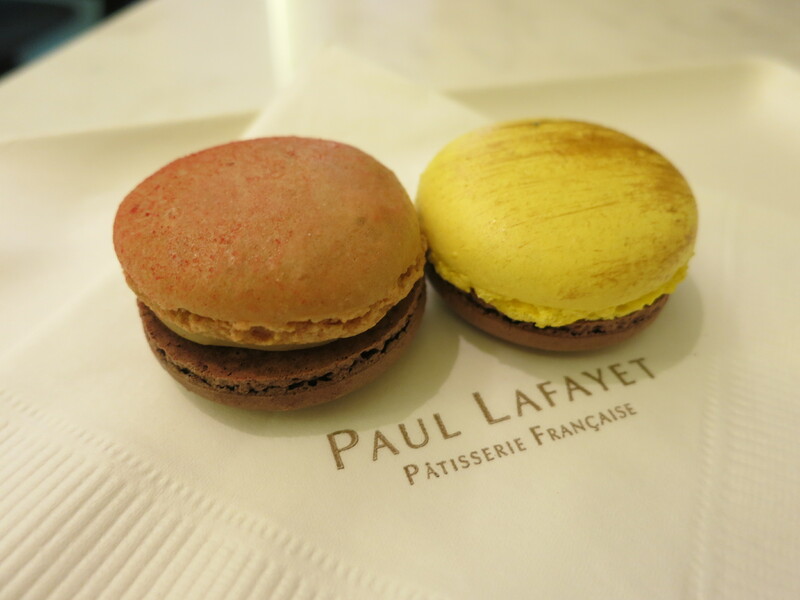 Remember that Paul Lafayet uses only the finest ingredients, mostly imported from France, and everything is handmade every day in Hong Kong. I’m looking forward to the new shop opening in Central, even if I am a little bit concerned for my waistline!